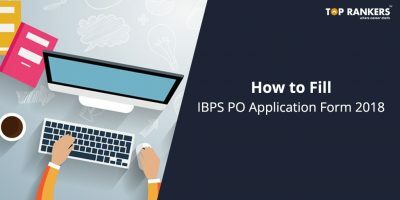 RBI Assistant Vs IBPS PO- Which One is a better Option and Why? 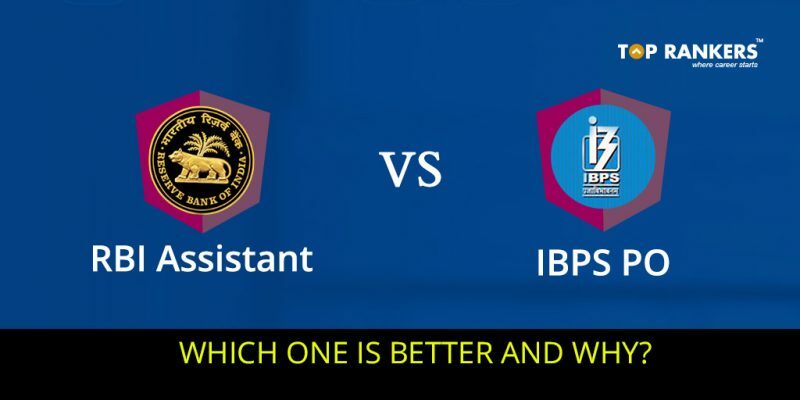 Check out the comparison between RBI Assistant Vs IBPS PO- RBI Assistant and IBPS PO, both of these are well-known as two of the most lucrative jobs of all times. Recently, we have come across a lot of recruitment notifications to recruit candidates in various levels such as clerical cadre to officer cadre. A person who gets a job in any one of those banks can assure a good career for himself/ herself. But, what if you get a chance to select one between RBI Assistant and IBPS PO. You will definitely be in a big dilemma because it is extremely tough to choose one. 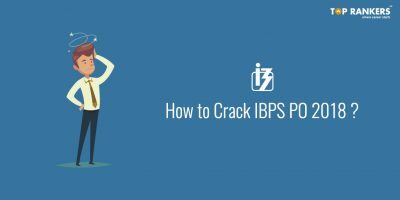 Let us help you out with our post on RBI Assistant vs IBPS PO which will enable you take a viable decision. It is extremely important for you that you take a wise decision when it comes to choosing up your career. When you have a situation of IBPS PO vs RBI Assistant, you will definitely consider multiple factors like salary, working culture, roles & responsibilities, perks and growth. When you enter RBI as a fresher, you get to join two posts which are RBI Assistant and RBI Officer. For these posts, RBI Recruitment takes place at different levels. In RBI, there are six grades for Class-I employees which are grade ‘A’ to Grade ‘F’. The most senior posts are of Grade F which are of Governor and Deputy Governor. The RBI Assistants are also referred to as ‘Class-III employees’ which includes senior assistant, special assistant, assistant, record clerk, attendant, security guard etc. Dealing with Public: You don’t have to deal with public. 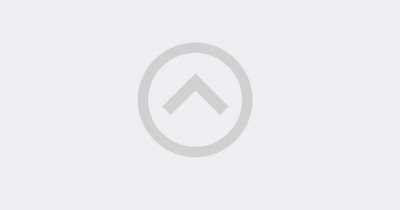 Accommodation: You will be provided with accommodation in self-maintained quarters of RBI. In case if a candidate is transferred to a place where he/she has no accommodation, RBI takes care of it. Educational loans and Scholarship: If you are an RBI employee, RBI provides loans for education and scholarships up to an amount of 20 lakhs for your children at nominal rates. Housing Loan: You can avail a housing loan upto 30 lakhs from RBI at nominal rates. Personal Advances: You can receive advances for furniture, festivals, etc. Medical Benefits: You get excellent medical benefits for you and your family. Leaves: You get once in a year leave for a complete vacation in India. Salary: When we talk about RBI Assistant salary, you get better salaries as compared to any other nationalized banks. Work Pressure: The work pressure is less compared to other banks. Promotion: After working as an Assistant in RBI for 3 years, you have a chance to get promoted to assistant manager level. In case you have not appeared for the RBI Grade B officer exam, you can still try frbi assistant promotion to officer inside the organization. Basic pay: The basic pay is Rs. 8,860/- per month (i.e. Rs. 8,040/- plus two advance increments admissible to graduates only). Allowances: Allowances include Dearness Allowance, House Rent Allowance, City Compensatory Allowance, Transport Allowance etc., as admissible from time to time. Accommodation: It is as per availability. Reimbursements: You get reimbursements for vehicle maintenance (official purpose), newspaper, briefcase, book Grant, furnishing of residence, etc. as per eligibility. Loans and Advances: You get loans and advances at concessional interest rates for the following- Housing, Car, Education, Consumer Articles, and Personal Computer. Total Annual Pay: The total annual pay comes to minimum to Rs. 3, 20,000/- p.a. (approximately) including allowances – excluding the value of housing. Transfers: In case of PO job, candidates are transferred in every 2 years whereas in RBI, transfers happen in 5 years. Postings: RBI always posts the candidates in urban areas unlike other banks who give postings in rural areas as well. The reason being that RBI has no branches in rural areas. Work pressure: In PO jobs and other bank jobs, you will have to face tremendous work pressure whereas in RBI, no such pressure exists and is comparatively less stressful. Repute: May it be any job profile, repute matters! You get ultimate reputation when you work with RBI. Working Days and Timings: The employees in RBI work for 5 days a week- from 9.15 AM to 5.15 PM whereas in PO jobs like IBPS PO, work timings can be altered based on work deadlines. 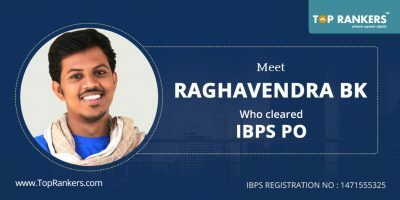 RBI Assistant is one of the most reputed jobs and is one of the most sought-after jobs of all. You get to work with the largest banking organization with a decent pay and lot of perks & benefits. We hope that this article is motivating enough for you to start preparing as per RBI Assistant syllabus and exam pattern. Start taking up RBI Assistant mock tests to analyze how prepared you are. Ultimately, your goal must be having a good score in RBI Assistant result and achieve it. Did you like reading this post on RBI Assistant Vs IBPS PO? If yes, stay tuned with us because there are more coming your way!